A lone trumpet wails. Somewhere a dog howls. The city stirs like a swizzle stick in a Pimm’s Cup. Red lights burn by the madam’s door, smoke billows from the carpetbagger’s pipe of toasted Cavendish, and the shouts of sailors echo off the waters of the Mississippi. Silhouetted ironwork line the streets of Vieux Carré where rain douses the darkness in a sauna bath of blue and purple like a bruised oasis. Streetlights and signs reflect blurredly in the muddy banquettes as people splash ankle-deep in what must be the filth of the Quarter. Oh, what a night for a boilermaker and a tavern brawl! How vividly it paints a picture. Yet the city of New Orleans is more than just a setting for a story. It’s more than a background, a location, a landmark. New Orleans is a character, a great southern character, who stands alongside an extensive list of infamous southerners throughout the pages of history. As time goes on, people of the past influence contemporary citizens in more ways than they ever could have expected. Tales are told, memorabilia is cherished, and even celebrations take place in memory of those long gone. New Orleanians are always looking for another reason to celebrate, and it took one weekend in 1972 to start an extravaganza when fifty friends threw a theme party in the Tremé, asking everyone to come dressed as their favorite decadent Southerner. One can only imagine the costumes that would have been worn such as the extravagant women from Gone with the Wind: Scarlett O’Hara, the spitfire southern belle, and Belle Watling, the voluptuous prostitute. In years to follow, on the same weekend as that first costume party, people continued to gather in their favorite decadent costumes and parade through New Orleans dressed like Mary Ann Mobley, Tallulah Bankhead, Elvis Presley, and Mae West. The celebration became known as “Southern Decadence,” a grandiose, six-day event held by the gay and lesbian community. Southern Decadence is widely known as the risqué version of Mardi Gras, geared towards more upscale and mature revelers, and while most of the costumes have veered away from classic southern characters, there still might be the glimpse of a Dolly Pardon or Mark Twain impersonator in the crowd. 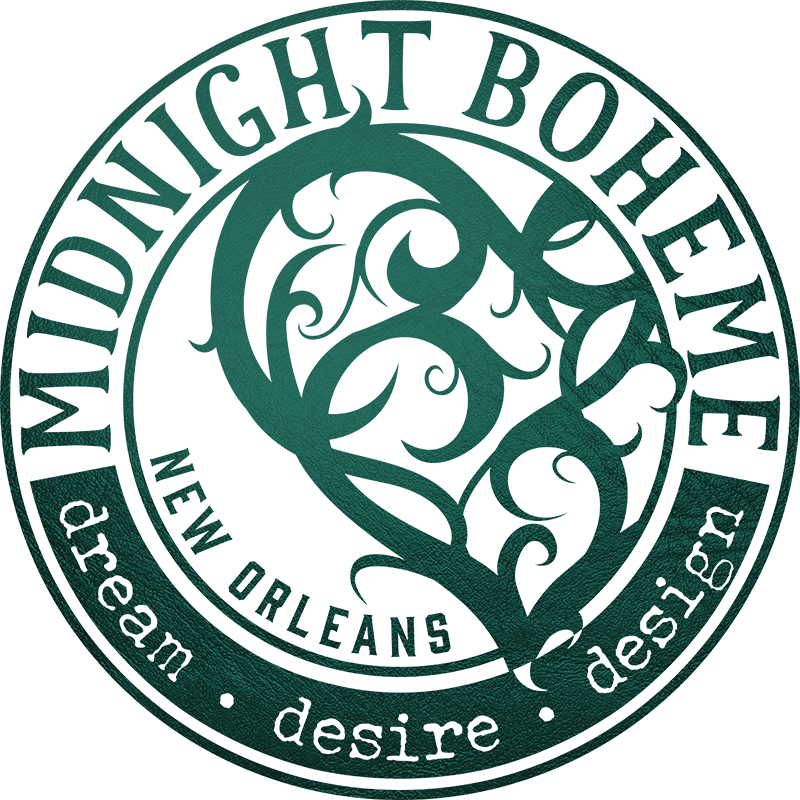 From Blanche Dubois (A Streetcar Named Desire) to Blanche Devereaux (The Golden Girls), strong personalities, eccentric behavior, and unique characteristics have always been admired, not rejected, by the inhabitants of New Orleans. Ignatius J. Reilly, the delusional slob who has been recognized as a larger-than-life literary persona, simply jumps off the page when reading A Confederacy of Dunces. Locals will never forget the real life character, Ruthie the Duck Lady, who spent her entire life roaming the streets of the French Quarter with a waddling trail of trained ducks following behind her. Colorful stories will always survive the turning of years as the southland’s tradition continues with tall tales told in an elongated southern drawl. No one should forget Evangeline the Oyster Girl, a burlesque dancer notorious for emerging onstage from a giant oyster shell and for her jealous rage when she smashed a 300-gallon tank with an ax to ruin a rival’s underwater striptease. The restaurant La Louisiane still stands today in reminder of its former owner, the legendary mobster “Diamond” Jim Moran who served diamonds inside the meatballs to impress blonde bombshell patrons. What does it take to be a great southern character of decadence and eccentricity? It’s more than just wearing a costume; it’s wearing the beautiful, bizarre, bigger-than-life oddities of yourself out in the open for all the world to see. It’s having the backbone to be who you are without worrying about judgment. And thankfully, here in New Orleans, judgment is not a dish served often. For in this city where character defines the soul, decadence is encouraged, especially for those Southerners who really know how!